Every week in our Q&ADR column, ADR interviews an architect, designer, object maker or industry person about who they are beyond the work – their life, inspiration, challenges and aspirations. 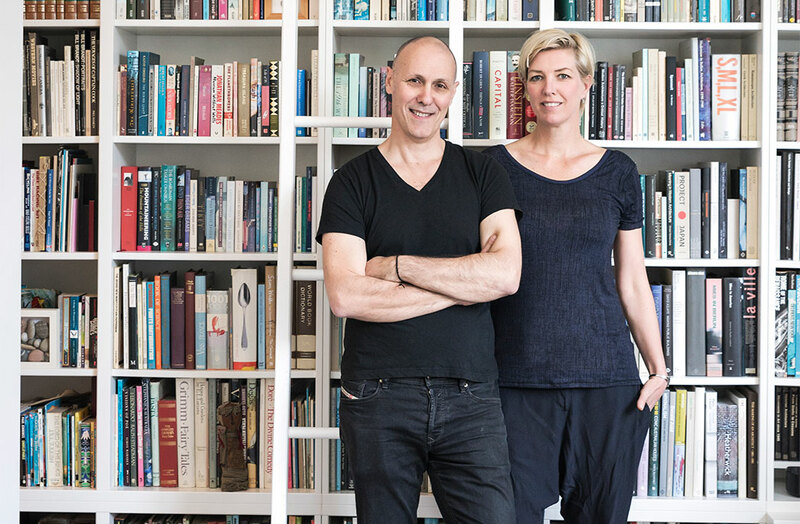 This week we meet Rosa Coy and George Yiontis, partners in life and work behind Melbourne practice Coy + Yiontis Architects. 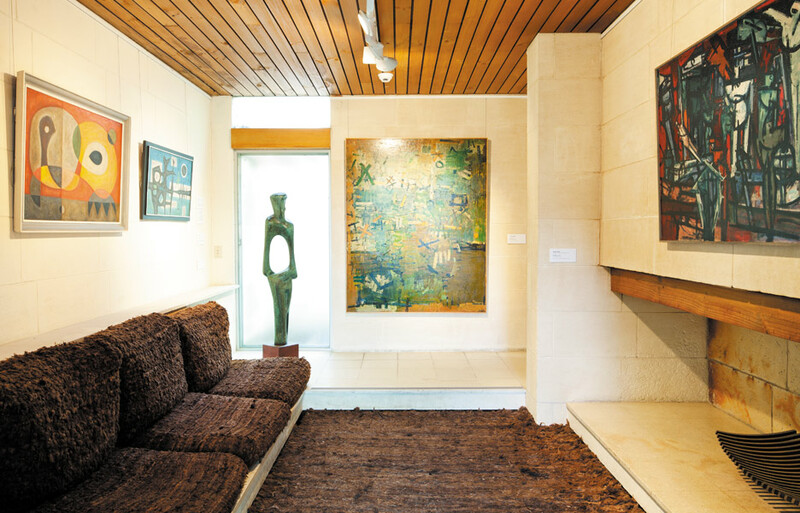 They tell us about formative years spent abroad, a myriad of design inspiration and their growing brood and practice. ADR: Can you tell us about your background and how you got into the design industry? Rosa Coy: I have always been drawn to the way materials can be brought together to make something new and fascinated by detailing and construction techniques. I am always making. My gravitation towards the design industry was inevitable. Upon graduation, I moved to Paris, France, working for five years as an architect. While there I worked for some leading international architects including Santiago Calatrava for 3 months, where I did the contract documentation of the Orient train station in Lisbon, Portugal (Gare do Oriente). I also worked with Renzo Piano Building Workshop (1994-1996) on the Hotel within the ‘Cite International de Lyon’ in Lyon, France and the revitalisation of Potsdammer Platz in Berlin, Germany. During this period, I met my husband and business partner George Yiontis. We married in Paris in 1994 and returned to Melbourne to establish Coy Yiontis Architects in November, 1996. 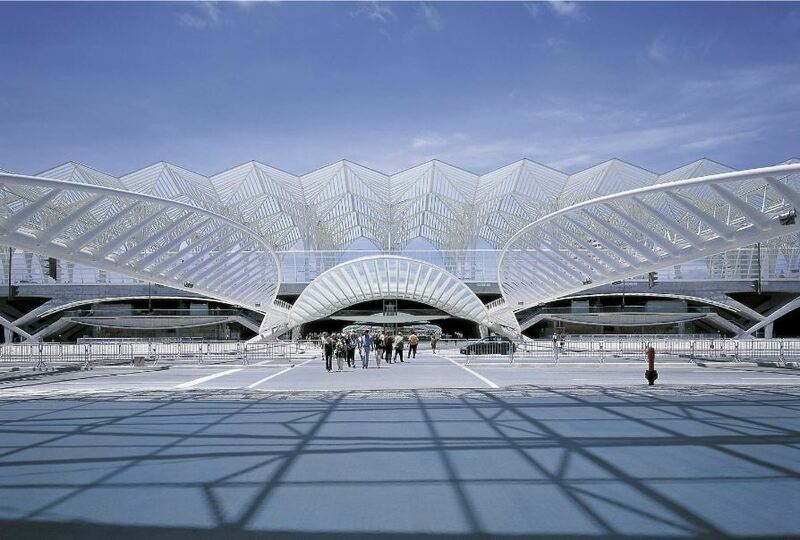 Oriente station Lisbon by Santiago Calatrava, which Rosa Coy did contract documentation on in her early career. Image via Inhabit. I grew up in the country with the luxury of space; my childhood home was a magnificent bluestone homestead in rural Victoria. The contrast between the home of my youth and later years living in Paris has influenced my appreciation of space, planning and design. George Yiontis: It’s the tale of the kid that draws a lot and spends hours playing with Lego. My older cousin was an architect and I found his studio a magical place, drawing with his rapidograph pens and looking at the plans on his board. My parents, immigrants from Greece, were a little disappointed when I chose to do architecture at RMIT and not medicine or law as would be expected of a good Greek son. RMIT was an exciting place to be in the early 80s with some brilliant and inspiring educators. Halfway through my course I took a gap year, travelling through Europe visiting the works of the ‘masters’. That experience was such an eye-opener both in terms of architecture and design but also the possibilities of life in diverse cultures. I came back resolved to complete my degree and get back to Europe as soon as possible. After graduation, I was fortunate enough to work with and learn from some truly excellent architects, primarily at DCM in Melbourne and Brunet Saunier in Paris. Coy: People close to me inspire me most directly: My father for his wisdom and energy at the age of 80 and his ongoing business acumen. I am blessed to have a business partner and husband in George Yiontis whom I respect and work with so well, both on a personal and professional level. We have a great synergy and inspire and encourage one another to be brave and confident in our vision for what could be. Travel away from home – near and far. Other cultures, other ways of doing things always inspire and invigorate. 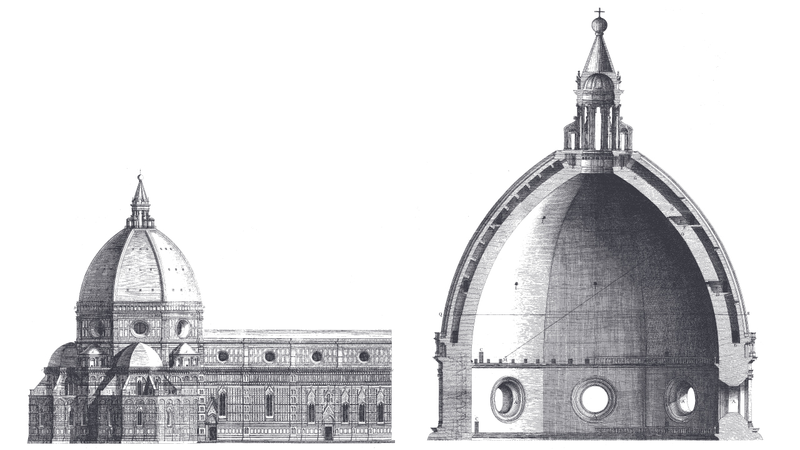 Drawing of The Dome of Florence by Filippo Brunelleschi, via Metalocus.es. Yiontis: Architecturally it’s a long and diverse list, from Brunelleschi to Mies, with a detour via Scarpa, Kahn, Neutra and Ellwood. Of contemporary architects, Siza, Souto de Moura, Chipperfield and Piano are just a few architects whose work I admire. Perhaps oddly, while I’d formally place myself in the modernist camp I’ve always had an affinity for the works of the Renaissance and early baroque. Architectural language aside I find something incredibly uplifting in the spaces and sequences of the period. Every creative puts a part of themselves into their work. Which of your projects has been the most important to you and why? Coy: The houses George and I have built for ourselves; House 2 and House 3 have been important in that they were experimental and pursuing our own design philosophies and ideas in such a way that is not often possible with a client to the same extent. 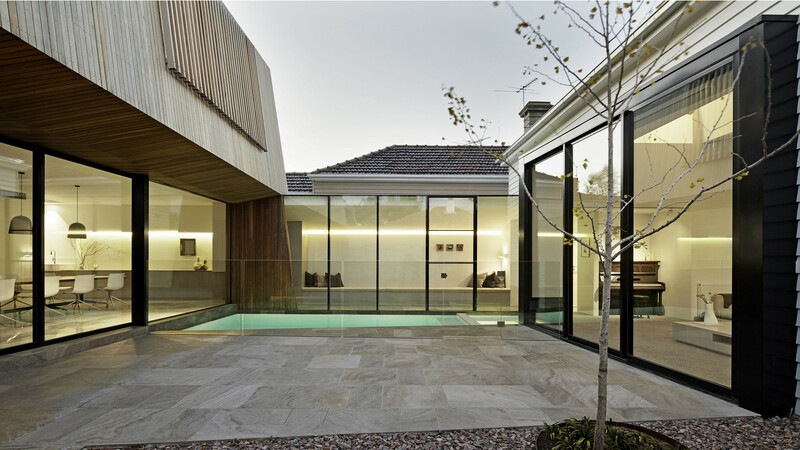 House 3 by Coy Yiontis, photo by Peter Clarke. Yiontis: I very much enjoy the hands-on side of building, collaborating with trades and craftsmen who take pride in their work and from whom you can learn. In that sense the three years I spent on the Conservatory of Music in Chalon sur Saone, France were probably the most important in terms of my development as a young architect. It was the first major project that I was responsible for from concept to completion. It was a good building but in some ways, it was a flawed project. I threw everything into it, too many ideas, too many details, too many materials. Fortunately, the whole was delivered by some truly talented craftsmen. Technically I came away with a wealth of knowledge. And while each bit was very good – in fact some details developed there I still fall back on today – but in my view it fell a little flat. I took away a valuable lesson about restraint from that project, which probably informs how I approach our projects now. More is not necessarily better. Coy: I have come a full circle to appreciate the country I so wanted to escape when I was a young architect. Back then Australia felt so remote and stifling. It took travelling and living in Europe and America for many years for me to appreciate my home country – its light and space, the great outdoors. I draw great inspiration from Australian nature; the colours and space. Yiontis: There’s a park bench on the Hopetoun lawn of the Melbourne Royal Botanical Gardens, up high, that has a perfectly curated vista across the gardens and ornamental lake to a green horizon that completely transports you out of the city. It’s not an overly frequented spot so if you go early, on a weekday, you can sit and gaze upon this 19th century vision in almost complete solitude. As a student, I spent hours, days, reading and thinking on that bench. When we had our office in the city I’d stop there in the morning, on my walk from our home in South Yarra, and just gather my thoughts for 15 minutes or so before getting into the day. It’s a magic spot. Heide II’s famous hearth room by McGlashan and Everist. Photo by Christine Francis. As a space I love the Great Hall of the NGV. I think of it as a noble space. The fireplace nook at Heidi Gallery is pretty good too. What has been the most inspiring and/or defining moment of your life and why? Coy: The realisation in 1994 that George Yiontis and I could be a forever team. I had been happy creating my own path, but it’s much more fun doing life with a like mind. Yiontis: Apart from the birth of my children, which was mind-blowing, I don’t think there was a defining moment as such, more a defining period. The years overseas, working within an international context influenced my tastes and sensibilities in architecture and certainly shaped my cultural and professional approach. What would you say has been your proudest moment, either career-wise or otherwise? Coy: No one moment in particular. With George, I am proud of our journey, the adventures we have had and the many amazing things we have created together; including four beautiful children. I’m excited about what still lies ahead. Yiontis: Forming Coy + Yiontis with Rosa is pretty up there. We’ve been working successfully together for 20 years on both our practice and our family and it still feels, fresh, like we are just starting out. What are you working on currently and what are your goals for the future, either personally or professionally? Coy: I am working on several private homes at the moment. It is rewarding; helping people to create and build spaces to live or work in that are serve their purpose, but at the same time, surprise and delight. In the future, I would like to undertake a larger scale residential development for ourselves or perhaps build House 4 for George and me. Yiontis: There are a few things in the studio at the moment but a tiny project we’ve started for a new cycling apparel brand has us excited. We are collaborating with the clients who are passionate about their product, and that passion is inspiring. So, while the project is small, the joy you get from working on it is really large. We’d love to hear your inspirations and experience in the architecture and design community. Simply email adrteam@niche.com.au with a little introduction of yourself to be featured. Meet Rebecca Daff, senior associate at Futurespace, Melbourne.